On April 15, 1947, Robinson walked onto Ebbets Field as a Brooklyn Dodger, the first black man to play in Major League baseball. 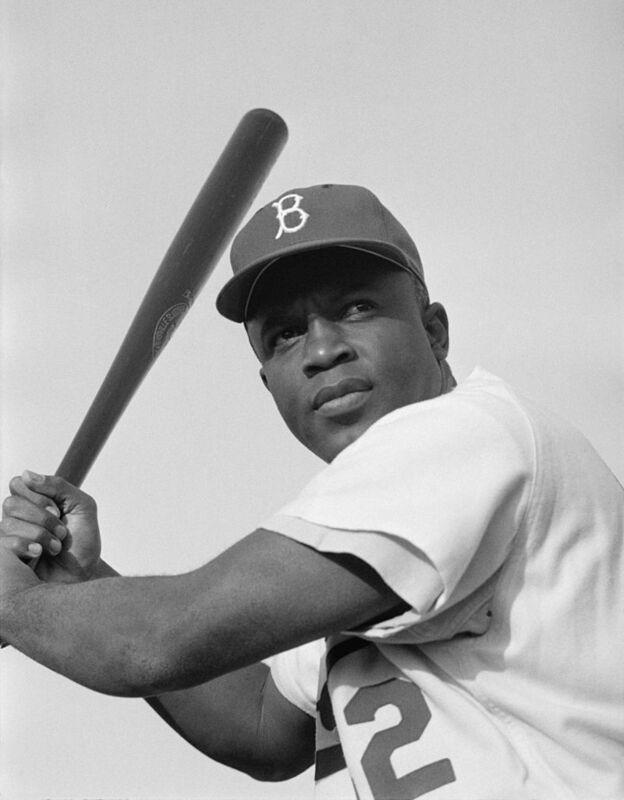 He had been signed by Dodgers president and manager Branch Rickey and endured racial slurs and threats of violence to compile an extraordinary record as an infielder and outfielder from 1947 through 1956. Playing offense, he led the National League in stolen bases and won the 1949 batting championship with a .342 average.